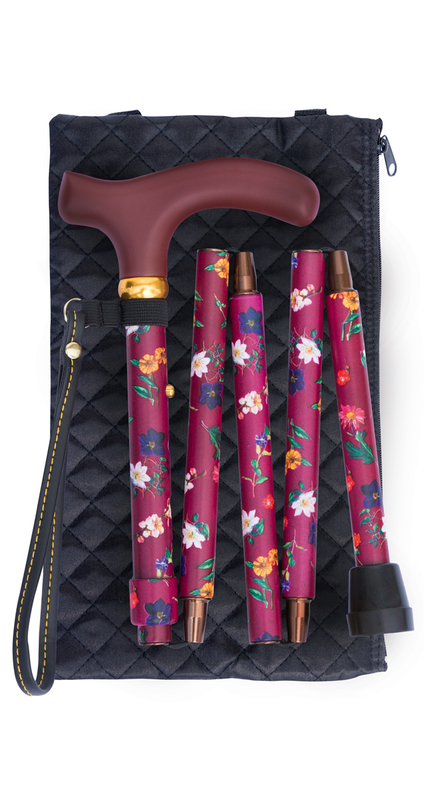 A glamorous folding cane with an elegant, black quilted wallet. The pattern features small white and orange flowers on a claret red background. Folds to five sections to fit neatly into a pocket or bag. 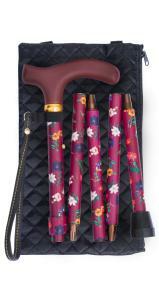 Folds to five sections to fit neatly into a pocket or bag. Easily operated end-to end 'easy-joints' ensure a sleek appearance.